The Holiday Singers. 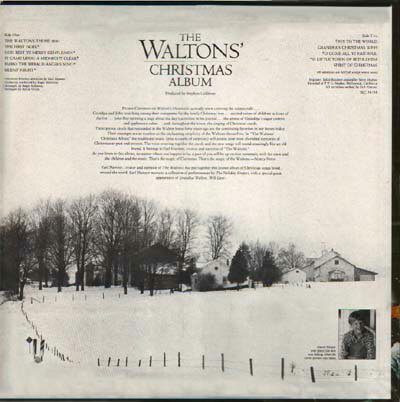 There is a special Christmas wish from Grandpa (Will Geer) Walton. 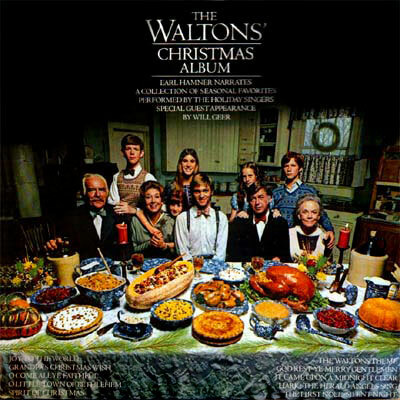 The cover photo was taken for an article in Ladies Home Journal and was altered to appear more festive from it's original Thanksgiving setting. David Harper who played Jim Bob was fishing when the cover photo was taken. 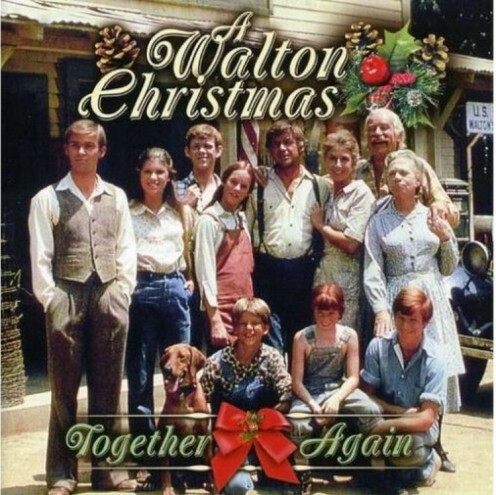 In 1999 Jon Walmsley gathered members of the cast and produced a cast Christmas CD titled "A Walton Christmas - Together Again" The recording contains songs and introductions and cast interactions. 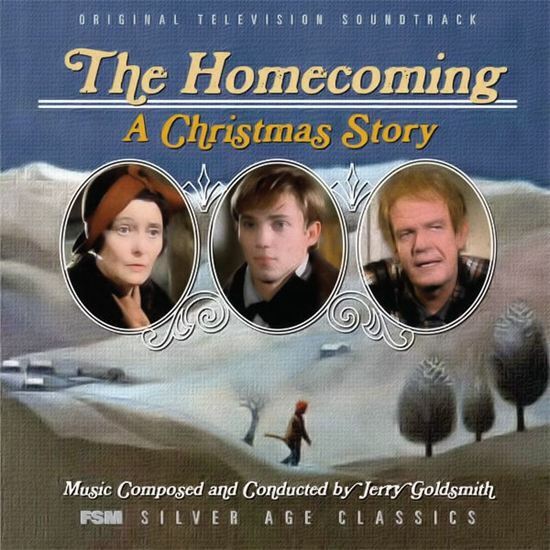 The Homecoming: A Christmas Story. Released in 2011. Music Composed and Conducted by Jerry Goldsmith. This limited edition CD contains 15 tracks totally 20 minutes from the TV movie. Click here for a review with sound clips and to purchase a copy. Read a 2nd review of the album here. 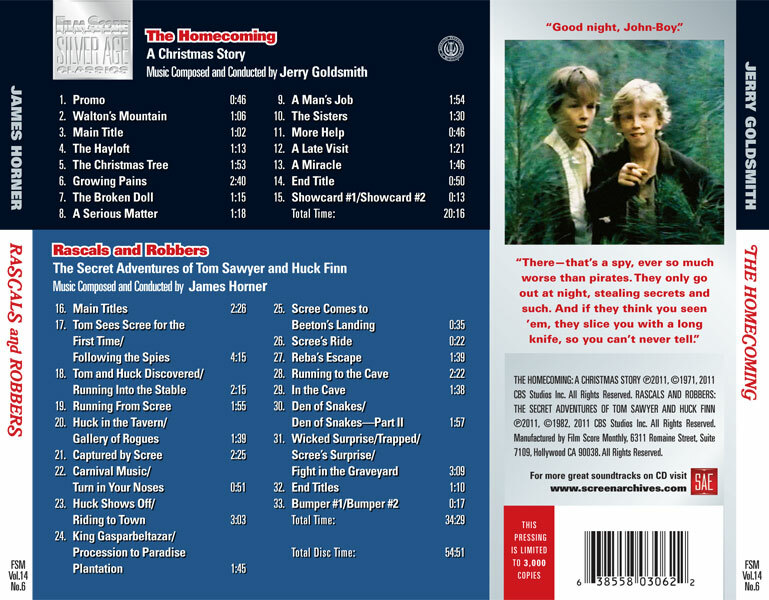 The album also contains an additional 34 minutes and 17 tracks composed and conducted by by James Horner for the Tom Sawyer & Huck Finn TV Movie Rascals and Robbers.